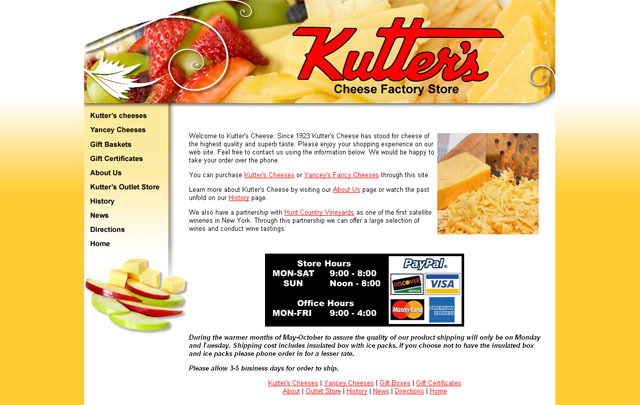 If you're looking to purchase our cheese online or by phone directly from the factory, you can do so through our on-site retail store, Kutter's. By clicking here or on the screenshot of their website below you'll be guided through the ordering process. You also have the ability to order by phone during store hours at 1.888.700.5275.